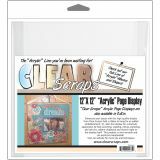 Clear Scraps Acrylic Page Frame 12"X12"
Clear Scraps Acrylic Page Frame 12"X12" - CLEAR SCRAPS-Clear Acrylic Page Frame. These great frames can be used to showcase your layout. 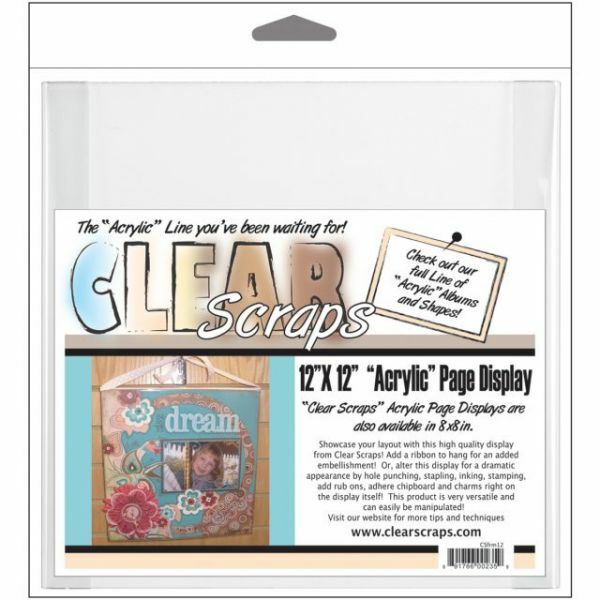 You can add ribbon to hang for an added embellishment or alter this display for a dramatic appearance by hole punching, stapling, inking, stamping, adding rub-ons, adhere chipboard, adding charms right on the display itself and more! The page frame measures 12x12in and 1 mil thick. The top and bottom edges fold back 1-1/4in. Made in USA.